PATCHED-UP Wolverhampton were denied a last heat consolation league point as they went down 50-41 at Swindon. 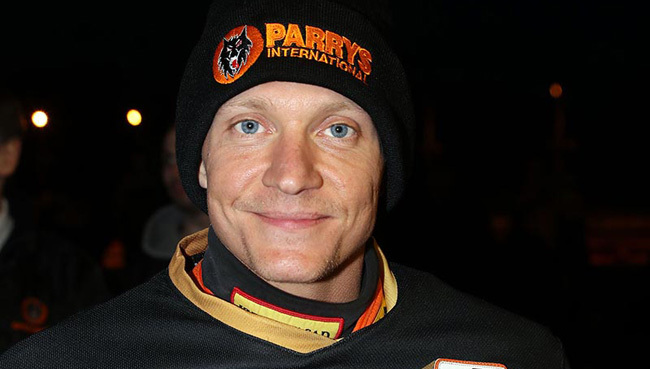 Without the services of Joonas Kylmakorpi (knee injury), Jacob Thorssell and Peter Karlsson (Swedish League commitments), the Parrys International Wolves always faced a stern test against an in-form Robins side. 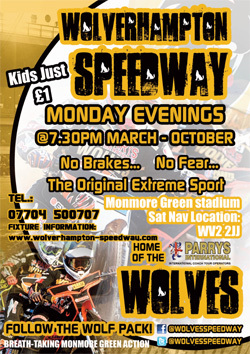 While luck may have been on Wolves' side in the opening three races with three fall exclusions for the Robins, it certainly deserted them as the meeting progressed. After Wolves edged in front by one after six races, Swindon then went on a run of four heat advantages to open up an 11 point lead with ten gone. But Peter Adams' men battled away and a 5-1 in heat 14 kept their hopes of snatching a last gasp consolation point alive, needing a race advantage from the final heat. Freddie Lindgren and Sam Masters made the gate while Robins skipper Jason Doyle tumbled while in third on the opening two bends. But the verdict was an unsatisfactory start, much to the dismay of the Wolverhampton camp, and Doyle came back out and won the re-run to send the Parrys International Wolves back home pointless. Club captain Lindgren said: "It's been a really frustrating night; to come here with so many of our usual team missing and to just miss out on another league point in the final race was a good effort from us. 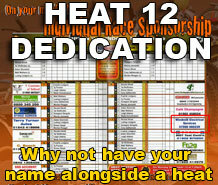 "For me it was a controversial decision because me and Sam gated and Jason was nowhere to be seen. Neither of us were close to him so he must have come down on his own. "But it happens so many times in speedway; he was allowed back in and he won the re-run. "We won't think about tonight too much because we're pretty satisfied with how this busy week has gone. "Don't get me wrong we would have ideally liked more, but I think we have to look at five points from four meetings as a decent period and something to build on." Lindgren heads into the British Grand Prix at Cardiff on Saturday in good form following another double figure haul against the Robins. Guests Scott Nicholls and Nicolai Klindt both showed a good level of professionalism and both chipped in with a paid win apiece. Sam Masters and Kyle Howarth both picked up a race win on an up and down night for the duo while Ashley Morris worked overtime for his points at reserve. 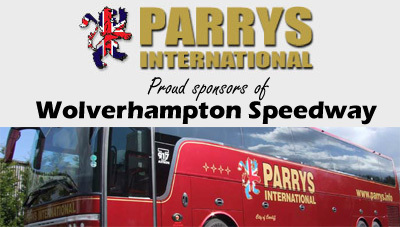 The Parrys International Wolves remain top of the Elite League ahead of a week away from the shale. They head to Lakeside next Friday (July 15) before hosting the Robins at Monmore Green on Monday, July 18. 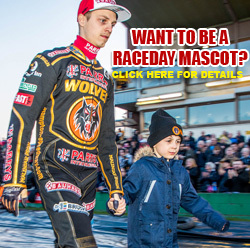 WOLVERHAMPTON 41: Freddie Lindgren 10, Scott Nicholls 7+2, Nicolai Klindt 7+1, Kyle Howarth 6+1, Sam Masters 6, Ashley Morris 5+1, Peter Karlsson R/R.